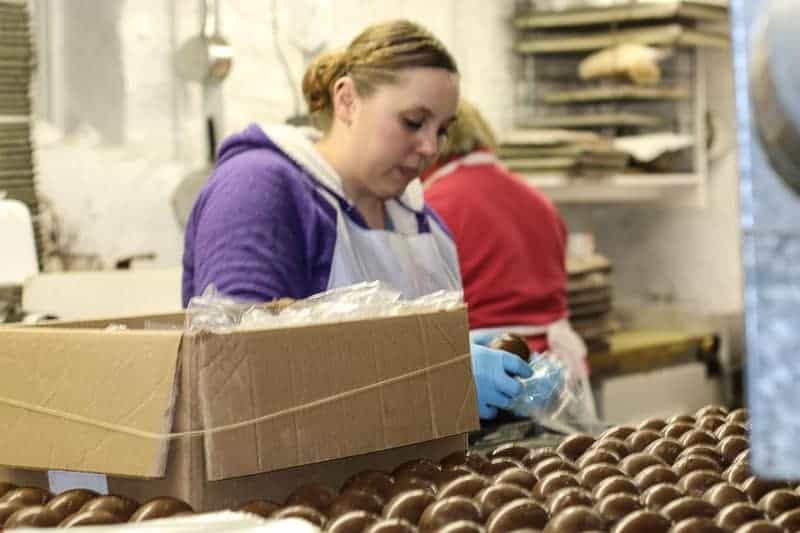 Hughes’ Home Maid Chocolates has been hand crafting some of the finest tasting chocolates since 1940. 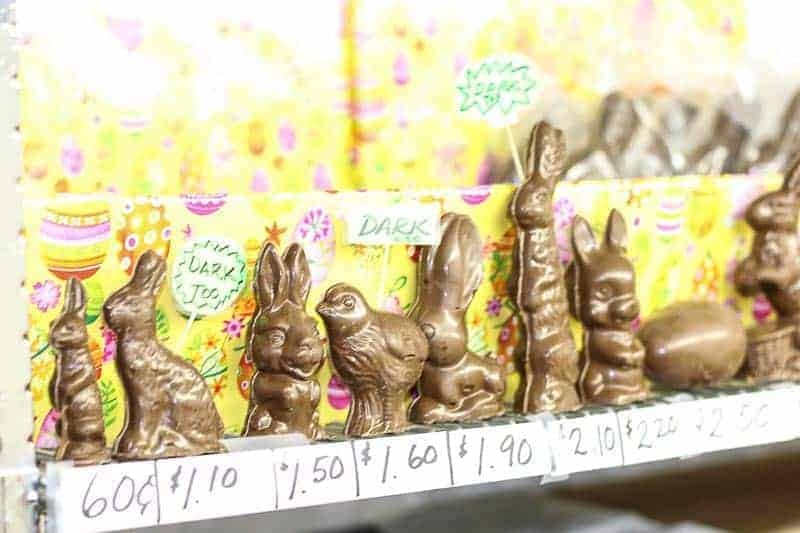 Have you ever wondered where the Easter Bunny gets it’s chocolates? Well then, I have a story for you!!! I have found the Easter Bunny’s secret little kitchen. 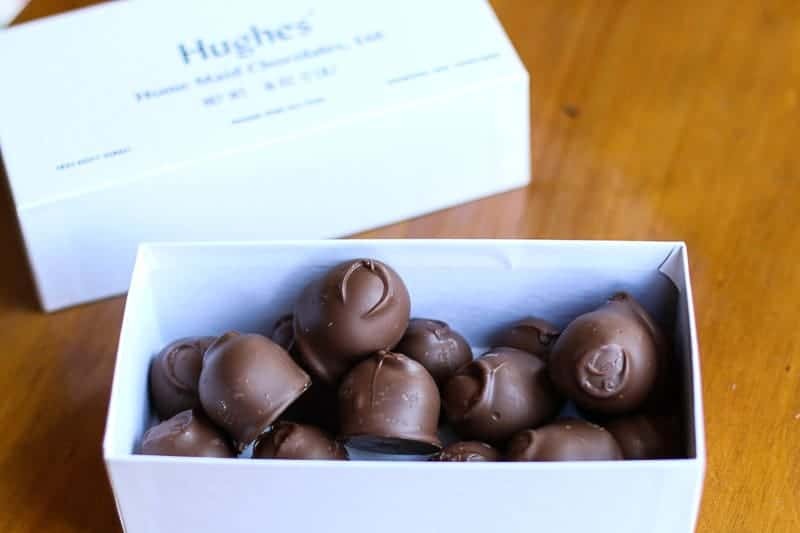 It is hidden in Oshkosh, Wisconsin at a very special place called Hughes’ Home Maid Chocolates! Hughes’ Home Maid Chocolates Store Is in a Basement! If you didn’t know about Hughes’ Home Maid Chocolates store, you would surely miss it. It is hidden among the residential houses on 1823 Doty Street in Oshkosh, Wisconsin. Since 1940, this little house has been handcrafting some of the best chocolates you will ever eat in its downstairs basement! You walk down just a few steps into a tiny basement where magical candy makers are busy at work. 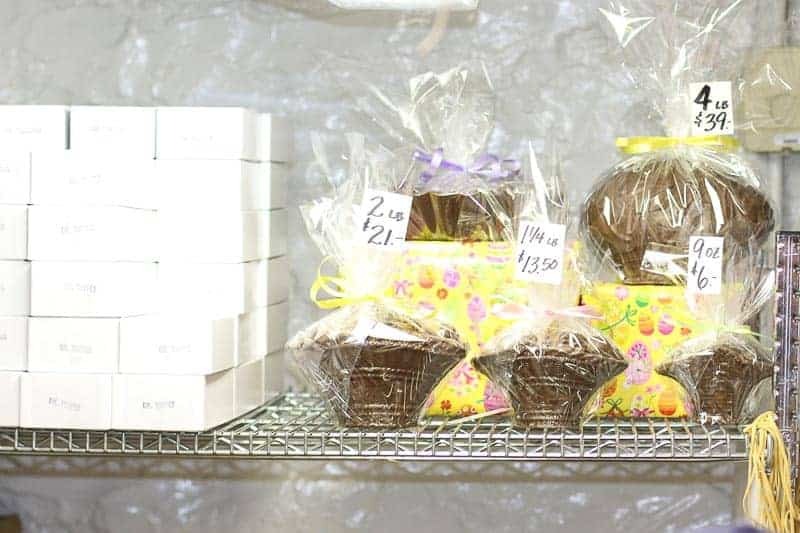 In this tiny little basement that business has grown through happy customers and word of mouth only; you will not find a fancy little room with a beautiful candy display. Instead, you will find an employee behind a tightly cramped counter with a cash register to your left, and a cramped little kitchen with hard working candy creators to your right. My travels to Wisconsin have only been in the summer. To my dismay, I have never been able to visit this tiny little candy land before. 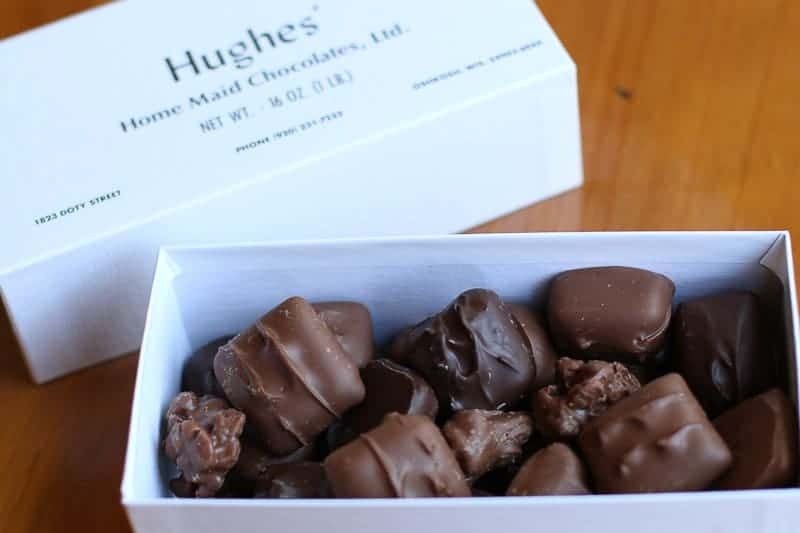 Hughes’ Home Maid Chocolates is only open September through May. Because it was my first time entering, I was a bit overwhelmed trying to figure out what to order. The long line behind me was not very patient with me. They seemed to know exactly what to order. They were much more experienced in their visits. I was ordering chocolate… I really couldn’t go wrong. However, they had candy called oysters, meltaways, and pudding… What the heck is that? “Oysters are a vanilla cream center or a double chocolate center covered in milk chocolate then rolled in crushed peanuts.” I ordered the chocolate filled and the vanilla filled. Were they good? But of course. My favorite was the vanilla cream filled. It balanced the sweetness of the chocolate. Meltaways are “chocolate on the outside with a melt in your mouth milk chocolate center.” Meltaways are my mother’s personal favorites. Puddings are milk double chocolate center, similar to a truffle, covered in chocolate. If you are wondering, those are fabulous too. Now their toffee really is something to rave about. It was the very first thing I tried from Hughes and I was hooked. It was not too hard and not too sweet. It had the perfect balance of flavor and texture. I hid them from my family and saved them for myself like a greedy little kid. 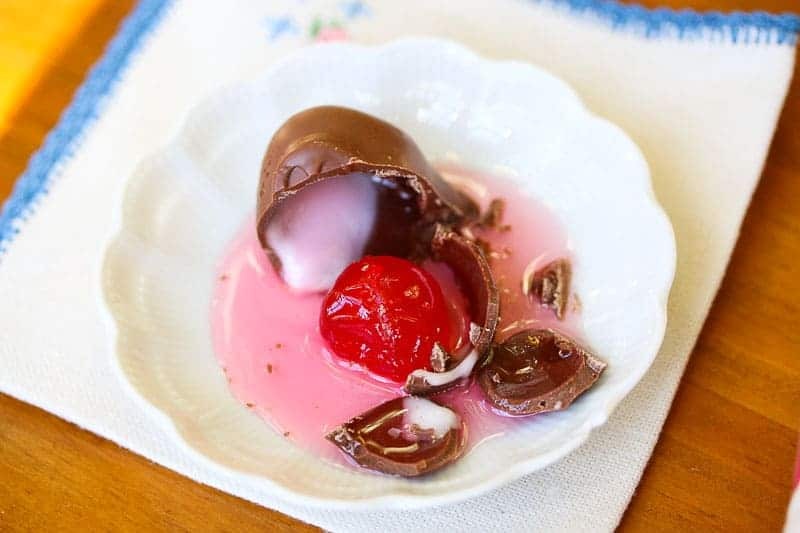 Now let’s talk about the chocolate covered cherries…. I tried both the dark and milk chocolate versions. Both are the BEST CHOCOLATE COVERED CHERRIES EVER!!!! Chocolate covered cherries are my mother-in-law’s favorite sweet. I ordered a box for her before I tried them. I so wish I ordered another 10 boxes. I am talking wicked, wicked good!!!! Be careful when you take your first bite. They are a bit messy. A gooey, soft, sweet center gushes out when you take a bite. And oh, is it good! Now back to the Easter Bunny! 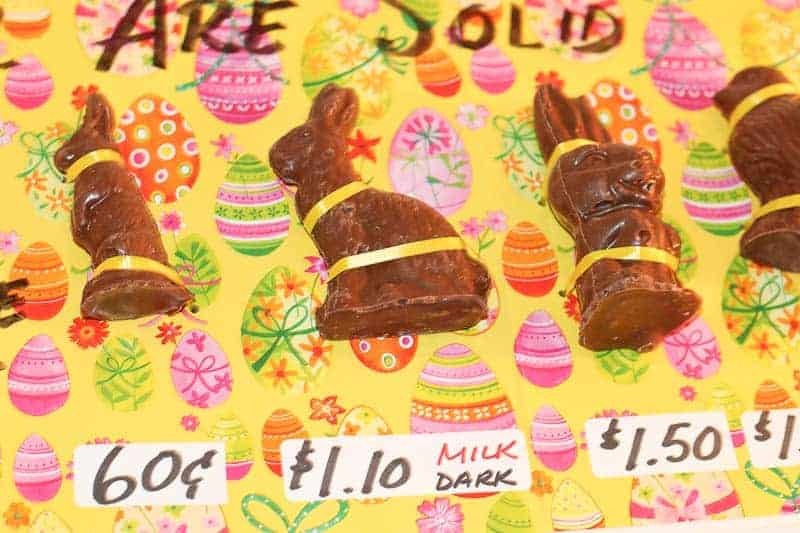 Hughes makes some of the most incredible Easter Candies. They feature solid and hollow bunnies, eggs, and baskets. They make cherry vanilla pecan eggs, maple pecan eggs, peanut butter eggs, pudding eggs, and vanilla eggs. Hughes’ also makes jelly bean filled rabbits and eggs…. I told you I knew where the Easter Bunny gets it’s candy! Interestingly enough, this is all done in a small little neighborhood, in a tiny little house, in a tiny little basement, handmade by three generations of family and employees. How cool is that? 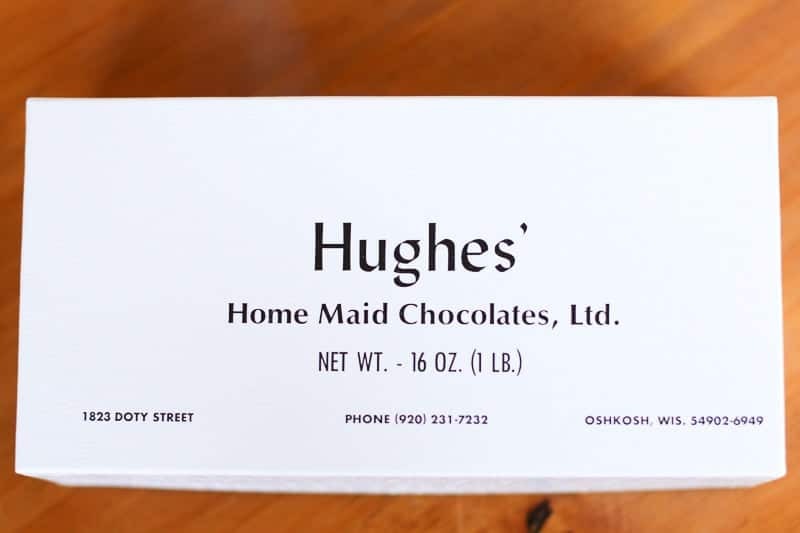 Therefore, if you go to Wisconsin, stop in Oshkosh and pick up a little white box of chocolates from Hughes! Buy a couple of extra boxes for your friends and family. These are special chocolates meant for sharing. Tell them I sent you. You will be thanking me later! Hughes is open from 7:30 a.m. to 5 p.m. on weekdays, 8 a.m. to 4 p.m. on Saturdays. For more information, call 920-231-7232. This little “mom and pop” joint does not have a website. However, you can order their chocolates from Mail Me Chocolates. To find out all their latest chocolate creations, you can check them out on their Facebook page. Mmmmmm chocolates! sweet tooth here! 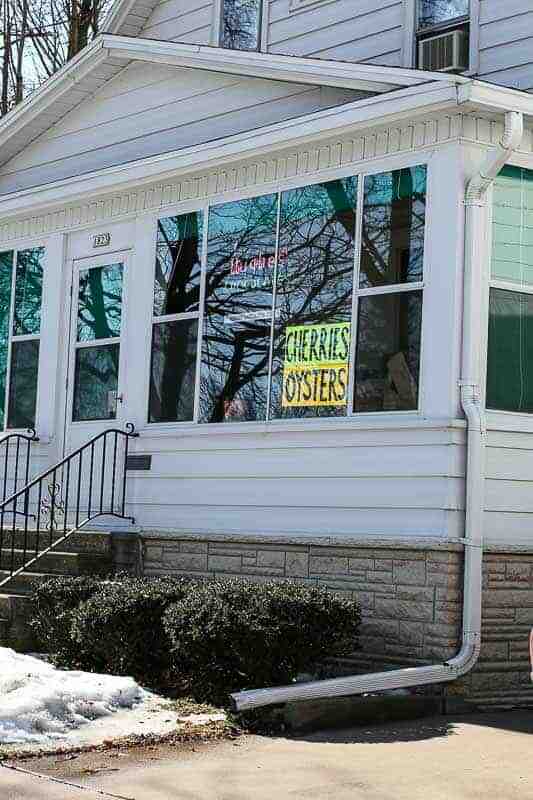 They are mouth watering… I hope I could visit there someday. I do not know. You would have to contact Hughes’ Home Maid Chocolates and ask them. Are you choccolates gluten free? I love little homemade chocolate shops. I would literally have to get one of each chocolate if I ever visited this place, so I’m pretty happy that I live far from it. haahaha!